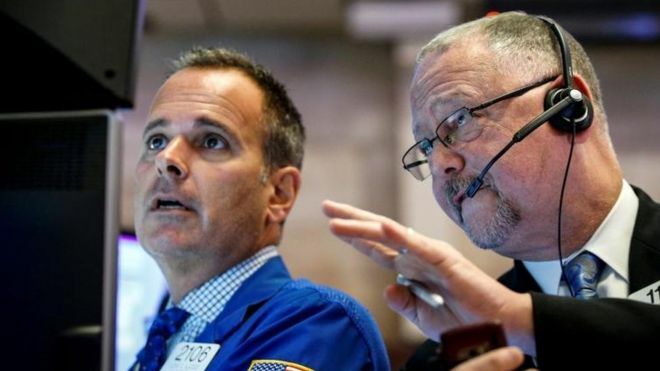 US stocks opened higher as investors prepared themselves for a busy week of corporate news. The Dow Jones Industrial Average rose 31.17 points to 22,902.89, and the S&P 500 edged up 2.15 points to 2,555.32. The tech-focused Nasdaq index added 15.59 points to 6,621.39. Shares in tech giant Apple helped to lift the Nasdaq. Its shares rose 1.6% to $159.46 after KeyBanc upgraded its rating on the stock to "overweight". Energy shares were higher as oil prices rose given the situation in Iraq - the second largest oil producer in Opec. Iraqi government forces have entered central Kirkuk, residents say, after taking key installations outside the disputed city from Kurdish fighters. Shares in oil major Chevron rose 0.7% and Exxon added 0.4%.